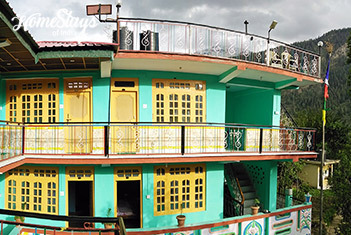 Inhabited around meandering and gurgling Baspa River, Sangla is the most charming valleys in the whole Kinnaur District of upper Himachal. It was opened to outsider in 1989 only due to its strategic position on the Indo-Tibet/China border. 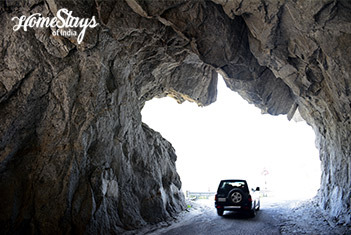 This 224 km not-so-easy drive from Simla is a huge attraction for driving freaks, because it includes world’s most treacherous road. Sangla not only boast of growing world’s best quality apples but also rich in Apricot, Cherry and Wall-nut. 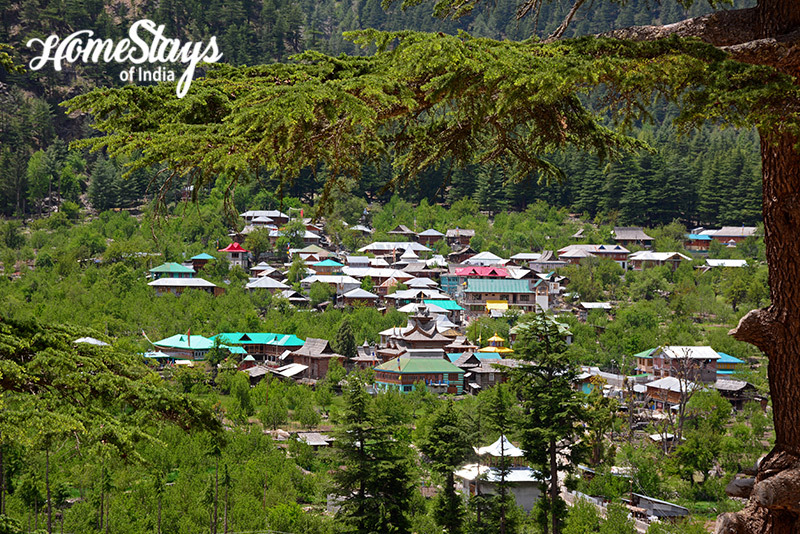 Bounded by strapping mountain slopes, sprawling evergreen forests and snow covered peaks, the valley is set apart from others by its sheer beauty. 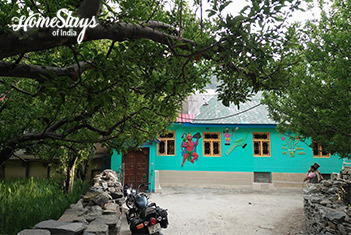 The homestay is located just before the Sangla Bridge in the middle of apple orchard having a beautiful view of snow covered mountains. 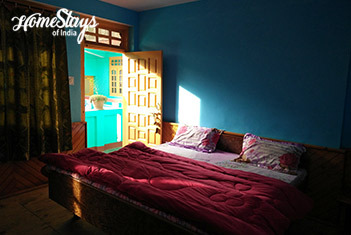 Built in modern look with all essential amenities it has total 8 rooms on two different floors with a dinning hall. You can also join the family in traditional kitchen to eat or just to chat with them. 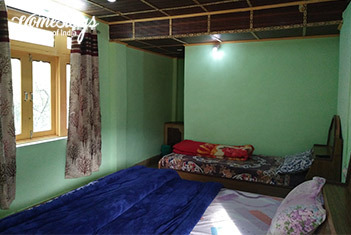 The homestay remain open in freezing winter also for super adventurous people. Ajit Negi is a young very soft spoken mountain lover and an experienced trekking guide. He is an educated guy and speaks fluent English. 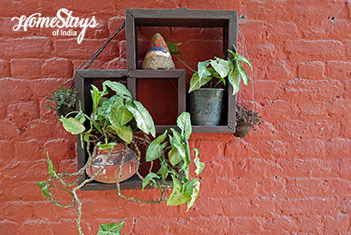 We serve Indian, Chinese and Kinnauri local food. Non-veg is available on demand. You may ask for local Apple Wine and Chulmuri, made of a local variety of Apricot.